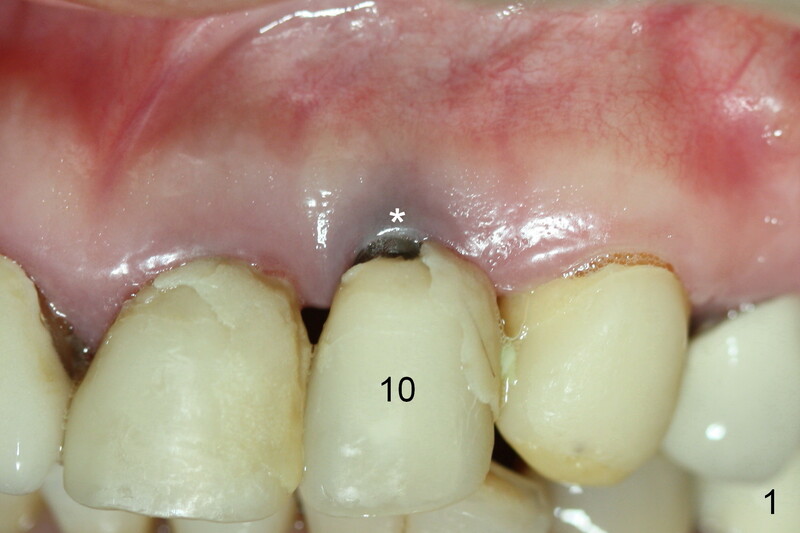 One year postop (1,2,3), the buccal gingiva of the implant at the site of #10 is recessive and discolored (Fig.1 *). 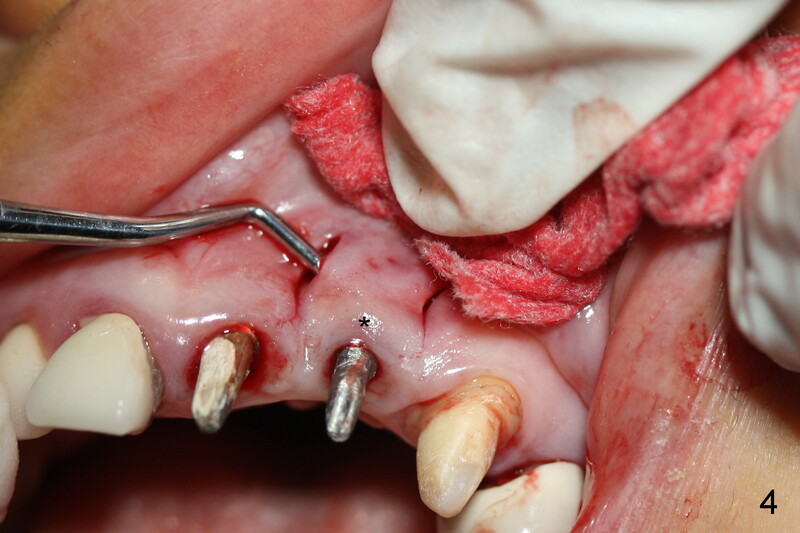 It is probably due to malpositioning of the implant and buccal hard and soft tissue deficiency (Fig.2 *). 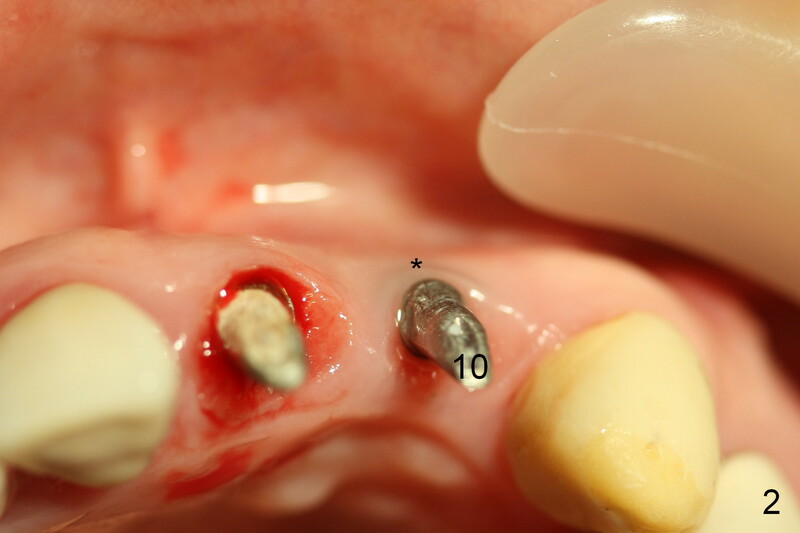 In fact, the tooth #10 has gingival recession prior to extraction. 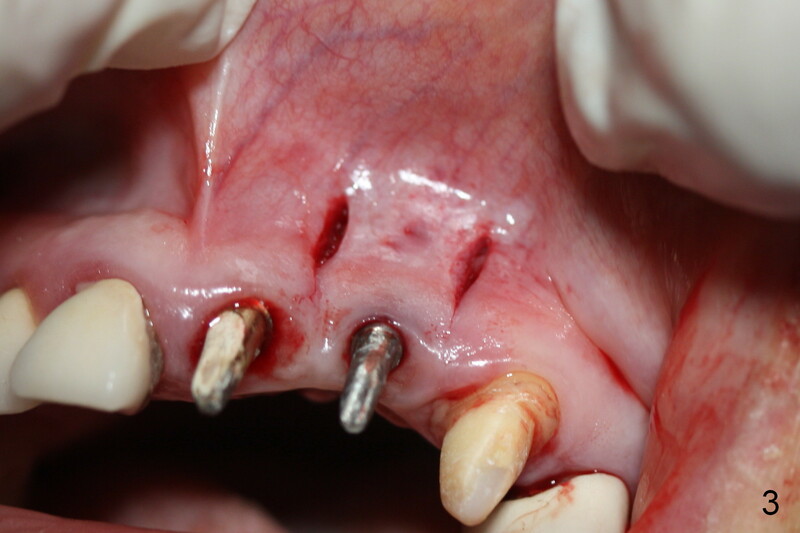 To keep the intact marginal gingiva around the implant, two vertical incisions are made without reaching the papillae (Fig.3). 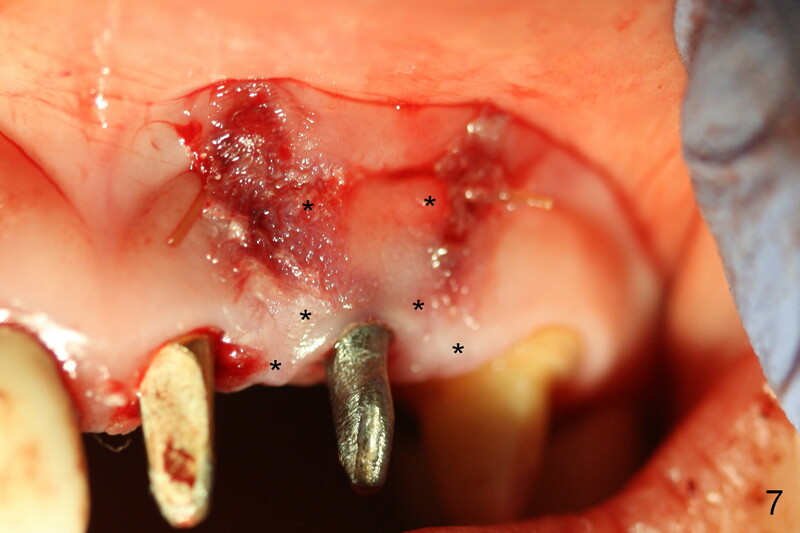 The flap is raised between the incisions as well as toward the gingival margin (Fig.4 *), hoping the margin to be pushed coronally later with connective tissue graft (CTG). Separation is also extended to the mesail (Fig.5) and distal (Fig.6) crest (*), where the coronal ends of CTG will be inserted. Fig.7 shows that CTG is placed underneath (*) and that the blackness mentioned above is apparently absent immediately postop. 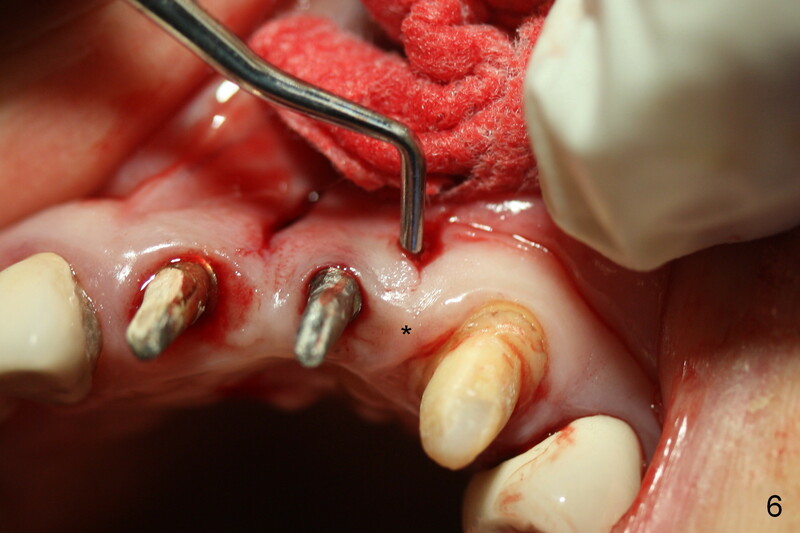 Two weeks postop, a band of the attached gingiva (Fig.8 *) has seemingly formed around the newly trimmed provisional. 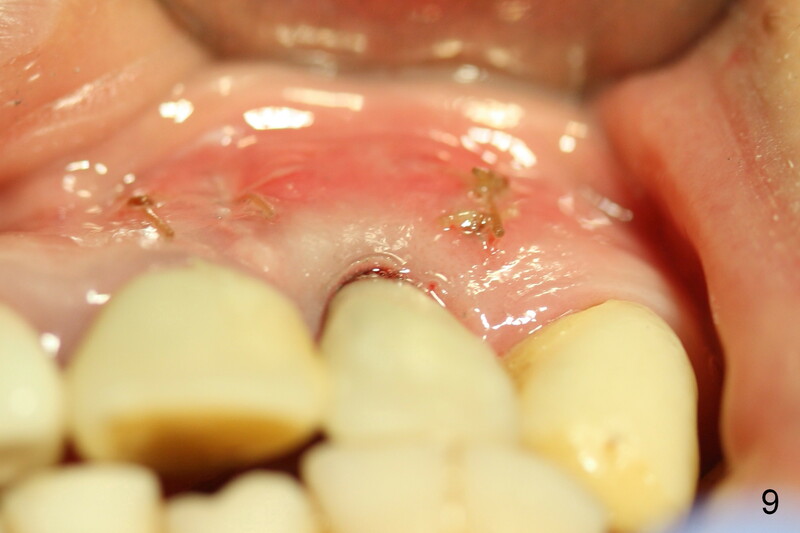 The margin of the provisional is made thin so that it may help the gingiva grow coronally as time passes by. 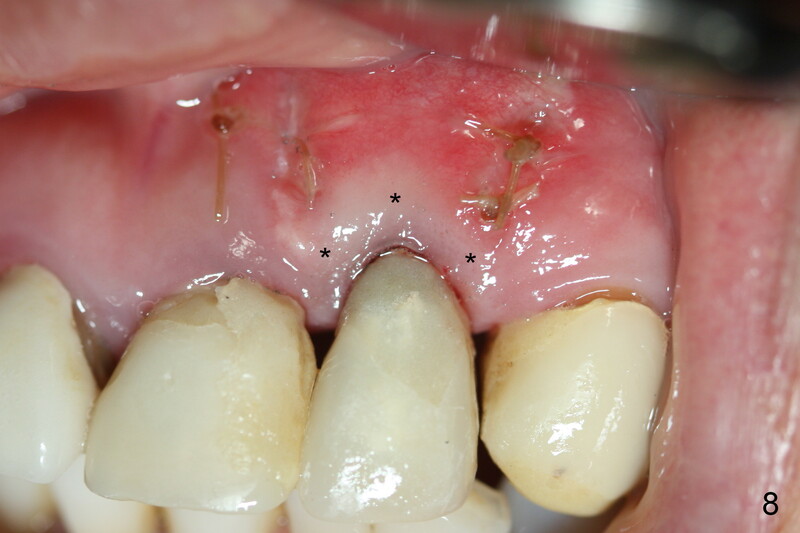 The thickened band is also noticeable from the incisal view (Fig.9). 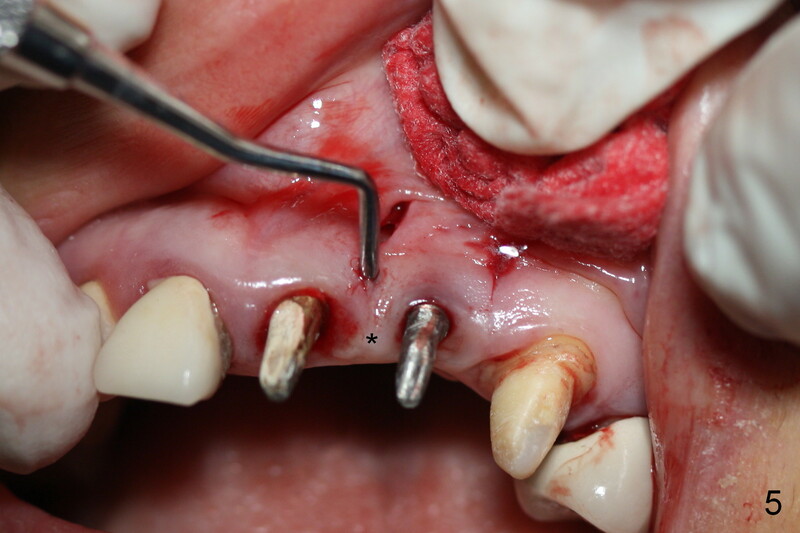 Gingival recession re-appears postop. It seems bone graft necessary.